The Eastern Regional Supercross Lites class in Monster Energy AMA Supercross kicks off this weekend inside Houston’s Reliant Stadium, so for this installment of Motosport Outlet Bench Racing Ammo we decided to give you a preview of some of the top riders in that series. Who do you think will take home the win? Vote now in our online poll. 24 – Brett Metcalfe: A new team, a new number, and a new outlook, Metty is my pre-season pick to take the title. His experience combined with his team should result in his first win and possibly a championship. 61 – Blake Wharton: Rookie Blake Wharton turned a lot of heads in last year’s AMA Motocross championship and will probably do the same indoors. 377 – Christophe Pourcel: It’s been a while since we’ve seen the Frenchman race, so right now he’s a question mark. 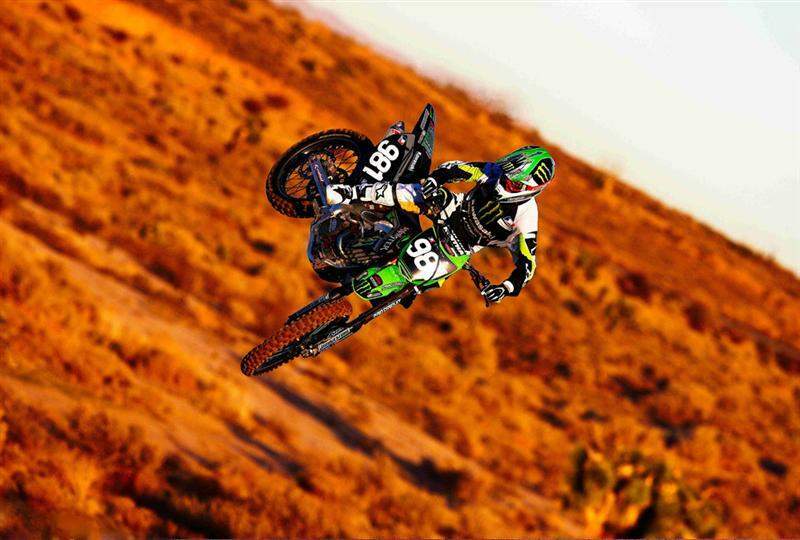 He knows how to win—he did it two years ago in Phoenix over a very fast Ryan Villopoto. He’ll have the equipment, but will he have the speed and endurance? 981 – Austin Stroupe: Austin showed he could win both indoors and out in 2008, so I can definitely see him up front all season long. 20 – Nico Izzi: Izzi fast? Yes he is. He finished third overall in last year’s Eastern Regional standings behind Canard and Villopoto, and neither of those riders will be on the line. Look for Izzi to be up front. 41 – Matt Lemoine: Look for the Star pilot to be in the top five. 159 – Darryn Durham: Houston will mark the first time he lines up with the big boys. Should be interesting to watch how last year’s co-AMA Horizon winner fares. 74 – Branden Jesseman: The 2003 Eastern Regional Lites champion knows what it takes to bring a title home, but that was six years ago. 148 – Hunter Hewitt: Young and unproven, but he has potential. 51 – Wil Hahn: A new team should move Hahn to the front of the pack. 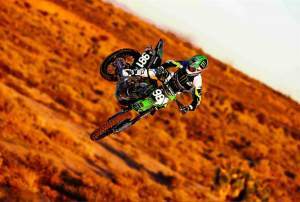 577 – Martin Davalos: Plenty of supercross experience should give Davalos a slight advantage. 34 – Matt Goerke: Going back a brand he grew up riding. 77 – Steven Clarke: Rookie year indoors should be a learning experience for the young Englishman. 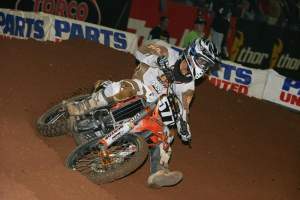 58 – Phil Nicoletti: Back on a brand he was raised on, Nicoletti should be a solid top-ten rider.